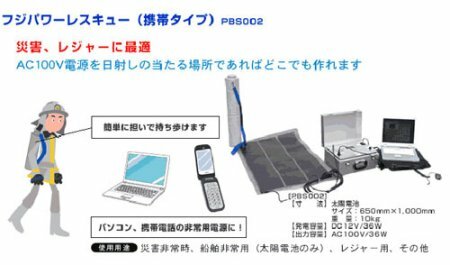 With Japan being an earthquake-prone country, it is not surprising to see disaster response kits being made available to every citizen in order to minimize the loss of life when tragedy strikes. Unfortunately, most earthquakes are often followed by a failed power supply, which is why the Fuji Power Rescue portable solar generator is powered by a flexible solar panel that can be rolled into a tube for easy transportation and safekeeping. As long as there is sunlight, you can be sure your gizmos won’t run out of juice even when there is no power supply in the vicinity.